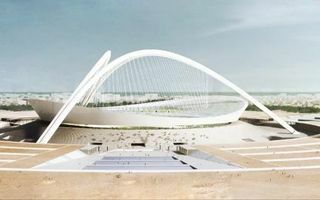 The plan foresees a large sporting centre placed on a circular site, 500-meter wide. 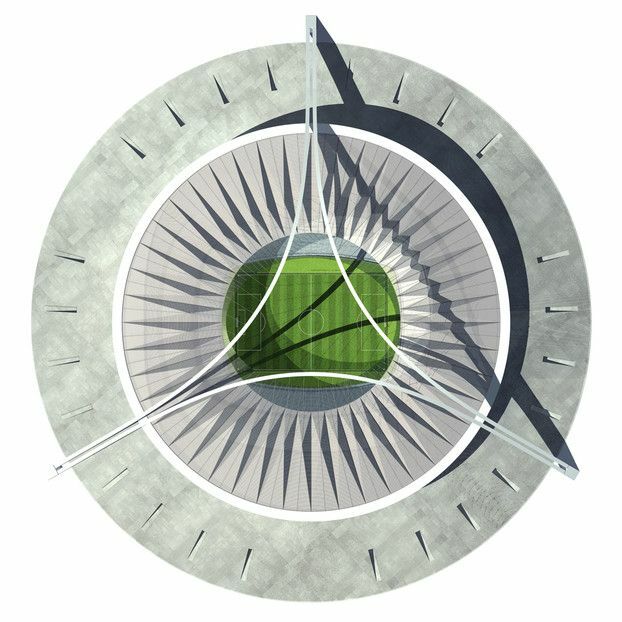 At the heart, on a circular plinth, the new 71,000-capacity national stadium is planned. Access to the three-tiered stands will be available from ground level and through the plinth itself, leaving only the top tier accessible by internal staircases. The division of seating to three tiers isn’t accidental. 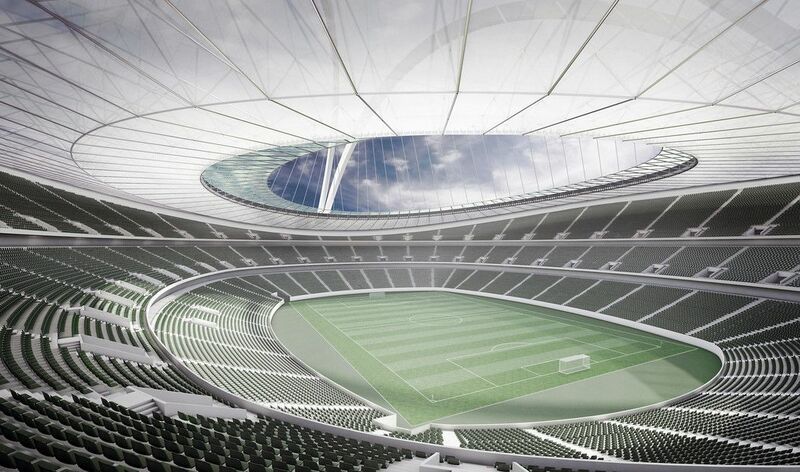 Just like it’s no coincidence that the cable roof will be supported by three tall arches. These are both references to the Greek meaning of Tripoli city name, the three-city. Despite the complex being built in Tajura, it’s considered part of the Tripoli metropolis. 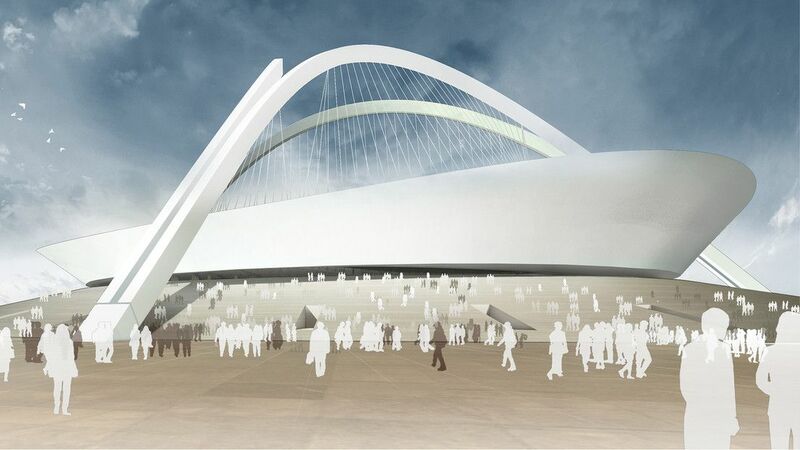 Around the stadium three indoor halls are also planned, creating a triangular shape beyond the stadium. 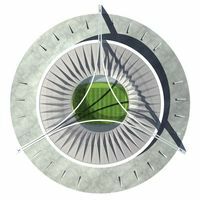 In January 2017 the new football ground is expected to host most important games of African Cup of Nations, including the opening and final.